Dream the impossible dream, spring 2019. Featuring the iconic song ‘Dream the Impossible Dream’, Man of La Mancha is Inspired by Miguel de Cervantes’s masterpiece Don Quixote. In a 16th century dungeon, Cervantes and his manservant await trial from the Spanish Inquisition. In his possession, he has a trunk carrying an unfinished novel, Don Quixote. As prisoners attempt to steal his possessions, Cervantes embarks on acting out his novel as his defence, transforming himself into Alonso Quijano. Quijano, deluded, believes he is a knight errant, renames himself Don Quixote de la Mancha, and sets off on a fantastical quest with his manservant Sancho Panza. 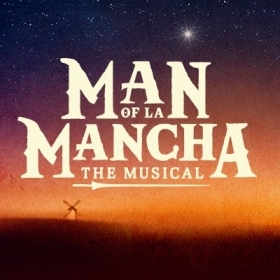 The music in Man of La Mancha is by Mitch Leigh, lyrics by Joe Darion and book by Dale Wasserman. ‘The Impossible Dream’ has become an internationally-renowned song, and has been performed by Frank Sinatra, Elvis Presley, Andy Williams, Luther Vandross and The Temptations, amongst others. 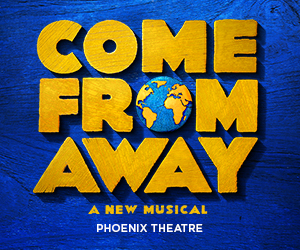 The production is directed by Lonny Price, who is joined on the creative team by conductor David White, set designer James Noone, lighting designer Rick Fisher, sound designer Mick Potter and casting director David Grindrod CDG. Produced by Michael Linnit and Michael Grade for Grade Linnit. Did you hear the gossip? The multi-talented Peter Polycarpou – well-known for his stage, film and TV performances – has been cast in the role of Don Quixote’s squire, Sancho Panza, alongside Kelsey Grammer’s Don Quixote in the first West End production of Man of the Mancha for 50 years, running at the London Coliseum from 26 April to 8 June 2019. Could that be double trouble? It’s the first West End production of much-loved musical Man of La Mancha in over 50 years and it’s turning into quite a cast line-up. Nicholas Lyndhurst and Cassidy Janson have joined Kelsey Grammer and Danielle de Niese for the limited season which runs at the London Coliseum from 26 April to 8 June 2019. Will you be living the dream? 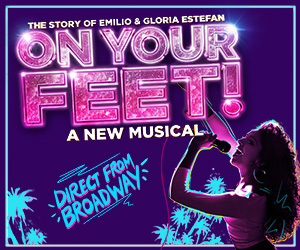 Following the success of shows like Chess and Sunset Boulevard, the fifth collaboration between the ENO and Grade Linnit will be multi-Tony Award-winning Broadway musical Man Of La Mancha and what a cast already: Emmy award-winning Kelsey Grammer and international opera star and soprano Danielle de Niese. Will you be booking your tickets for April 2019?